“Do you know what you want to say?” I asked Caleb, my 9 year old son. “And which verse?” I pressed. 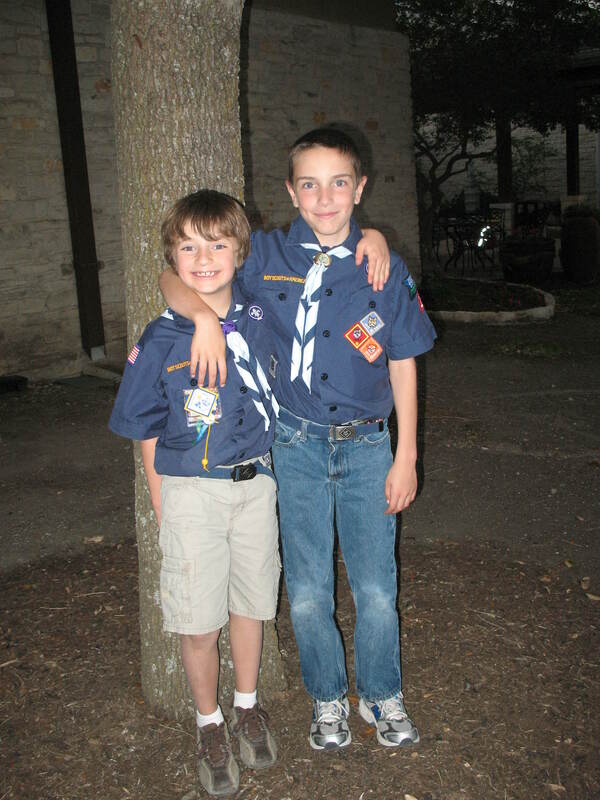 Caleb and his best friend Ben met in Sunday school when they were four years old. Over the last few years, they have become closer and closer, gravitating together by their mutual love of video games, Star Wars, Mario Brothers, and other fictional delights that I don’t need to understand. Get the two of them together and they immediately depart to a world all their own, full of danger, intrigue and adventure. Ben is an only child, and Caleb is the older brother to two giggly girly girls. Their shared lack of male companionship also drew them closer together. Their antics can get them in some trouble, too, the kind of trouble that 9 year old boys get into when they must choose between behaving in church and having a good time with a friend. Caleb is used to the customary thump on his head from his dad who sits on the row behind him and his friend, and has to remind them that we are in church, not on some distant planet fighting evil minions. Caleb is also used to the regular lecture and consequences he gets when we pick him up from Sunday school and we are told, again, that Caleb had some trouble settling down and listening. There is a trade-off to having a best friend at church. He gets to have his best friend at church with him, and that makes him want to go to church all the more. He also gets into some mischief, but would I want a 9 year old who didn’t? We got to see the upside to having his best friend at church played out last month. 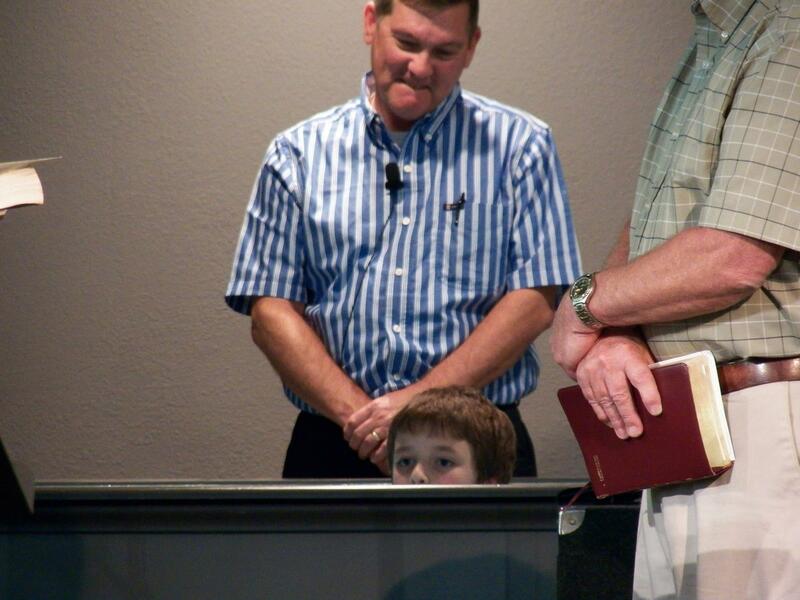 Caleb was asked to read a verse at his friend Ben’s baptism. He wrote down what he wanted to say and brought it to me. We practiced it over and over. I warned him sharply that the stage was not a place for playing, and that it was a very serious matter to speak in front of the entire church. I told him to only read what was on his paper, no more and no less. The night of the baptism, Ben sat eagerly in the baptistery. Eventually he gave in to temptation and began to swim small, slow circles as his grandparents read verses and expressed their love for him. Behind him, Pastor Steve tried unsuccessfully to suppress his grin as Ben gave his “Kilroy Was Here” impression, only eyes and hands peeking over the edge of the tub at the amused congregation. Then it was Caleb’s turn. He said “I am Caleb White. I am Ben’s BEST friend.” The crowd laughed, warming him up. And, despite my stern warnings, he went totally off script. “I thought a lot about what verse I wanted to read for Ben…” His eyes met mine across the sanctuary. Isn’t it a universal truth that you can still feel your mother’s displeasure even from across a room packed by over a hundred people? I gave a short jabbing point at his paper with my finger and gave him the look. You know the one. The whole night was a great reminder of God’s love. Ben was surrounded by parents, grandparents, friends, a pastor, the church on this night when he publicly professed his allegiance to God, who pledges His allegiance back. This is the God we worship. We worship a God who loves little boys who swim in the baptistery. We worship a God who loves 9 year olds who get in trouble at Sunday school, and in life. We worship a God who understood the needs of two little guys who both needed a best friend, and put them together. This is the God we worship, and I am so blessed to see my son worship Him, too, with his best friend Ben at his side. This is maybe the best blog entry you’ve ever done. You totally capture the moment and the meaning of the moment. It was a joyous time! Ben doing Kilroy is right. I also loved when Caleb jumped with excitement when Caleb came up out of the water. Thank you God for Ben and Caleb. make that, when BEN came up out of the water! I went into the ugly cry with this post. This is an awesome story and I am SO glad that you shared it with us! Lori, it had the whole church doing the ugly cry. It was absolutely precious. Okay… I know this comes as a late reply but it wasn’t until our Pastor read the blog out loud that I caught an ‘error’. 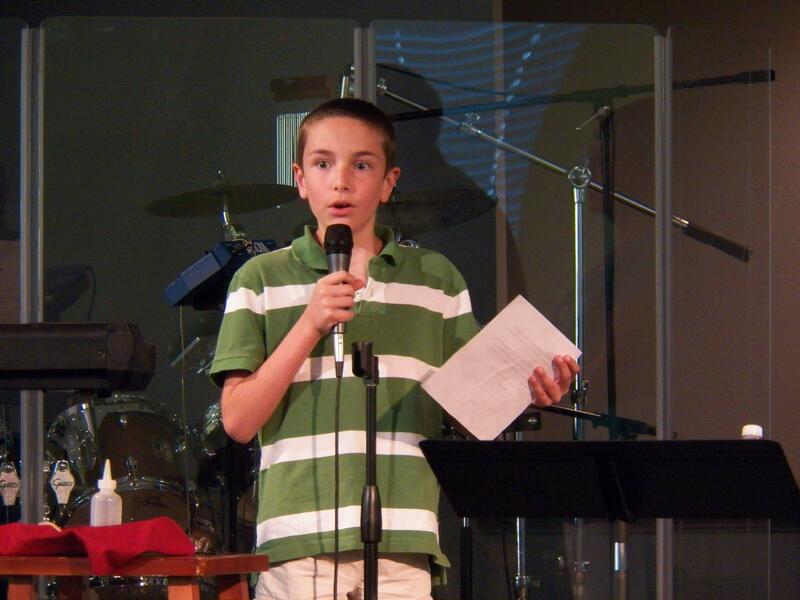 Caleb wasn’t asked to read a verse for Ben…. He asked me if he could read a verse for Ben’s baptism. Now someone get me a kleenex because they still makes me tear up!